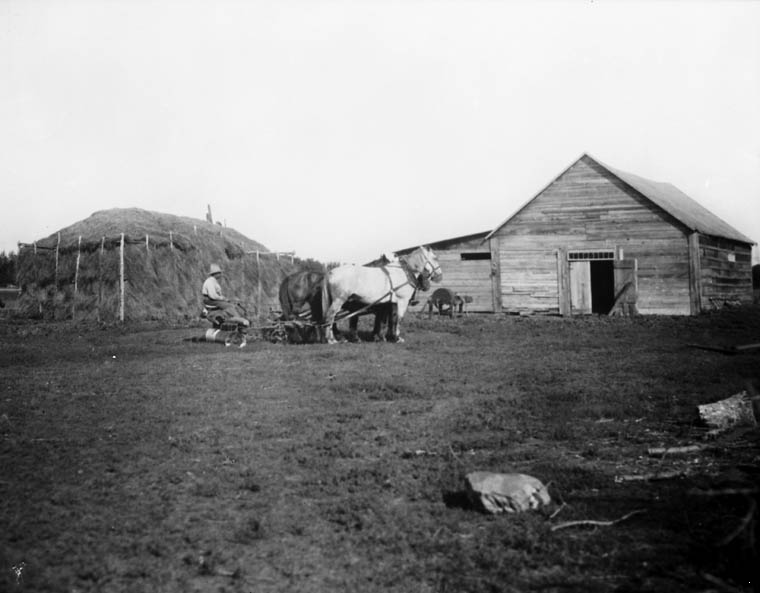 In the nineteenth century, Canada created assimilationist legislation for the governance of Aboriginal peoples (see especially the Indian Act of 1876), producing the residential school system among other initiatives that sought to eradicate cultural differences. Further, new immigrants from non-English or French speaking cultures were also expected to assimilate to the ideal of white (British) civility. 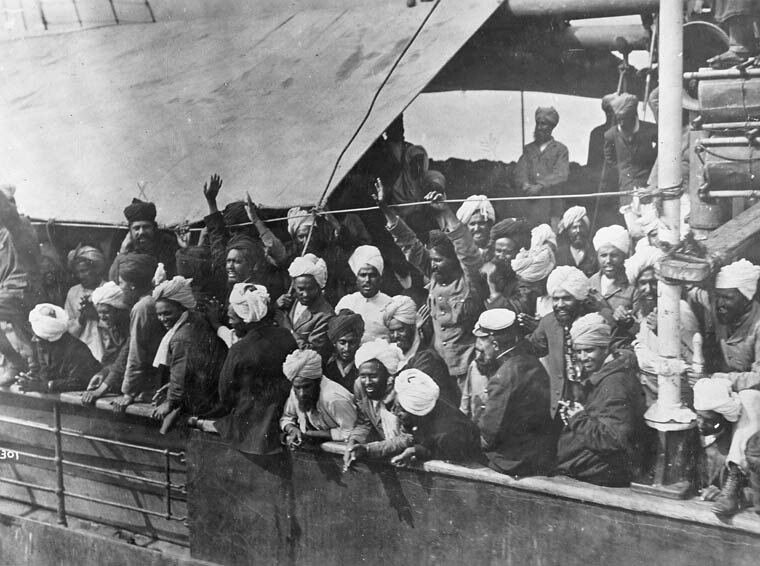 Assimilation was sought through legislation such as the Immigration Act of 1910 that allowed the Canadian government to prohibit the entry of immigrants belonging to any race deemed unsuited to the climate or requirements of Canada (section 38). Immigration from outside Northern Europe was actively discouraged until the middle of the twentieth century. In Canada, for example, a Head Tax was levied on Chinese immigrants in 1885, 1900, 1903, and culminating in the Chinese Immigration Act of 1923, commonly called the Chinese Exclusion Act . The continuous journey regulation covertly attempted to prevent immigration from India. 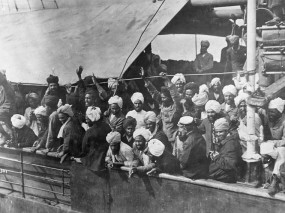 This regulation led to the Komagata Maru incident in 1914, where a boat with over three hundred Indian citizens (all British subjects) was turned away from Vancouver, after sitting in the harbour for three months, and forced to sail to India. The end of the nineteenth century saw a wave of immigration after the completion of the CPR. 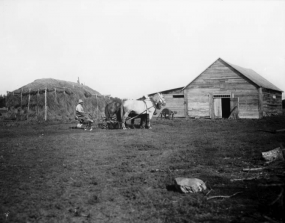 The government saw a need to populate the prairies, especially the land near the railway line. 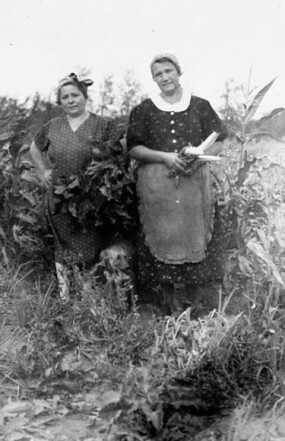 They offered land grants of 120 acres each for suitable immigrants, including British, Scandinavian, Icelandic, Doukhobor, Mennonite, and Ukrainian farmers, among other groups (including those fleeing persecution before and during the Russian Revolution of 1917). In 1910, the bureaucrat in charge of immigration, Clifford Sifton, famously stated that the ideal immigrants to Canada were men in sheepskin coats and their wives (qtd. in Coleman 169), referring to hearty Nordic farmers. The influx of immigration from such groups marked a change in the demographics of immigration. The colonial emphasis on moving British citizens into settlements of the early nineteenth century gave way to opening up the country to a diversity of European groups. Following World War II, there was another large wave of immigration from Southern Europe and of persons displaced by the war. It wasn’t until the 1960s that changes in immigration policies opened the borders to non-European immigrants, although people from Asia and Africa had been a substantial, if not always recognized, part of Canadian society for centuries. The idea of Canada as a nation separate from Britain rather than as a colony was inconceivable for many until after World War I. 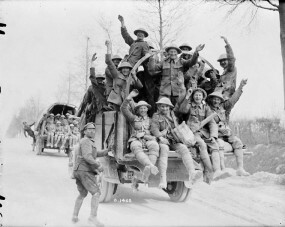 During the war, Canadian troops fought under British command, having followed Britain to war although no vote was taken in the Canadian parliament. 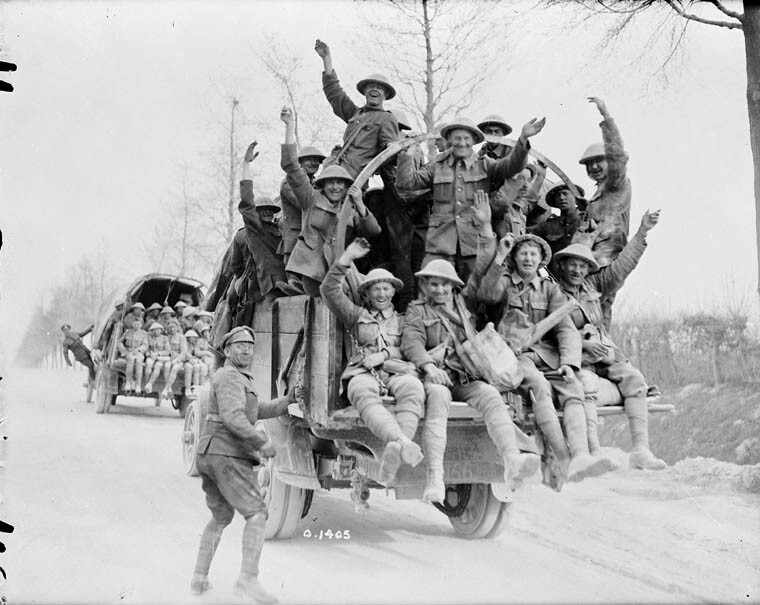 While Canada’s participation in World War I was the result of colonial ties to Britain, the war nevertheless prompted a surge of nationalism through the collective response to and support for the war effort. The Battle of Vimy Ridge (9–12 April 1917), where the main combatants were members of the Canadian Corps, served as a catalytic symbol of national cohesion and worth. According to popular historian Pierre Berton, Vimy became the place where the nation was born or came of age. This origin story is important not necessarily because it is true, but because it emerged as a pervasive, unifying national narrative that continues to inform nationalist and historical thinking in Canada—and is found in a good deal of fiction, non-fiction, drama, and film. In the end, the war shattered the colonial fealty that governed previous war efforts by providing not only a common enemy, but also powerful stories that united Canadian communities and politicians. The questions surrounding Timothy Findley’s The Wars —and to a lesser extent Wayson Choy’s The Jade Peony —develop a more nuanced approach to the world wars than those provided by nationalist views of history. World War I also helped foster the women’s rights movement by providing an opportunity for women to work more extensively outside of the home in the jobs vacated by enlisted men, in munitions factories and in other war efforts. Women who served overseas as nurses, for example, had a stronger claim to the vote. In 1917, the Military Voters Act gave federal franchise to women on active military service. Subsequently, the federal War-time Elections Act of 1917 extended the federal franchise to all female British subjects over the age of 21 who were the wife, widow, mother, sister or daughter of any persons, male or female, living or dead, and who was serving or had served with the military forces (section 33). 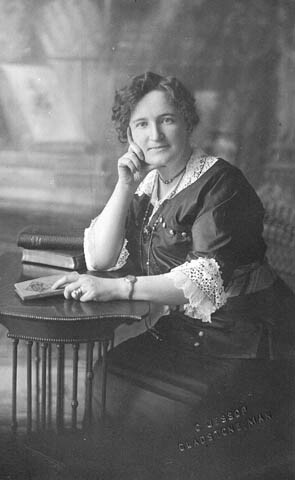 Manitoba granted women the right to vote in provincial elections in 1916, in no small part due to the work of Nellie McClung, followed by the other Western provinces. It wasn’t until 1919 that women achieved the federal franchise and until 1940 that provincial legislation was finally adopted by all provinces allowing women to vote. Aboriginal men who served during the Great War were also seen as deserving the vote, but this right was tied to their renunciation of their status; few enfranchised voluntarily. By World War II, Canada had developed a stronger sense of autonomy. During the 1920s and 30s, Canada began to assert sovereignty at an international level. 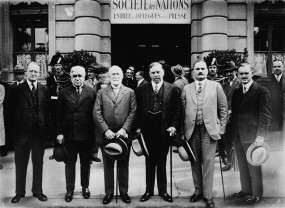 For instance, when the League of Nations was formed following World War I, Canada signed independently rather than as a part of Britain (1920). In 1931, the Statute of Westminster was passed in Britain, granting Canada independent control over foreign policy. So in 1939, when Britain declared war on Germany, rather than instantly joining the fight as a colony, Canada convened an emergency session in Parliament to vote on whether to join the war effort. Through these incremental steps after Confederation, Canada developed its identity as a sovereign state. The first time Canadian Citizenship was granted was with the establishment of the Canadian Citizenship Act, 1946, which took effect on January 1, 1947. Previously, Canadians had been considered to be British subjects residing in Canada. This has raised questions subsequently about how to reconcile the Indian Act with this and subsequent legislation, including the Constitution Act and the Charter of Rights and Freedoms, 1982. Just one example of the problems that arose was the unequal treatment of Aboriginal men and women when they married non-Aboriginal people. The man’s marriage partner got Indian status while the woman was involuntarily enfranchised, gaining Canadian citizenship, but losing Indian status. In the 1930s, Canada refused entry to many Jewish refugees fleeing discrimination in Europe. Canadian policies slowly began to change following World War II, but anti-assimilationist legislation didn’t come into effect until the 1960s. Over the course of the twentieth century, the constitution of the imagined community of the Canadian nation changed dramatically. A good example of legislated injustice can be seen in the oft-ignored anti-Semitism of Canada during and following World War II. While taking pride in the Canadian war effort against the Nazis, many Canadians are less likely to recognize the systematic exclusion of Jewish peoples seeking refuge from the Nazis in Canada before the war. Irving Abella and Harold Troper have documented systematic anti-Semitism, as well as failed attempts by various figures and organizations to intercede with the government, in None is Too Many (1983). This book was adapted for theatre by Jason Sherman in 1997. At this time, another legislated injustice acted against Canadians of Japanese heritage. Shortly after the bombing of Pearl Harbor and Japan’s entry into World War II on December 7, 1941, the War Measures Act was invoked in Canada. This meant that civil rights were suspended in the interest of wider national security. Japanese Canadians were summarily affected since they were deemed a threat to security and branded enemy aliens even though about three quarters of them were either Canadians by birth or naturalized citizens. Further, their personal property was confiscated—including motor vehicles, cameras, transmitter radios, radio receivers, firearms, ammunition, and explosives (St. Laurent 3). A cordon sanitaire was created within 100 miles of the coast of British Columbia, inititaing the systematic expulsion of Japanese Canadians from the coast, the internment of tens of thousands of people, the confiscation of goods and property, and the separation of family members from each other. The people were moved to internment camps in the BC interior (Kaslo, Greenwood, Sandon, New Denver, and Slocan) or were forced into work camps in Ontario and Western Canada. Although the war ended in 1945, the internees were asked to test their loyalty to Canada and move further east of the Rockies or be voluntarily repatriated to Japan. Of the 4,000 people who were repatriated by 1947, half were born in Canada. In 1948, Japanese Canadians were able to apply for citizenship and gain the right to vote. On April 1, 1949, four years after the war ended, the last of the wartime restrictions were lifted, allowing Japanese Canadians to travel freely and return to the West Coast. 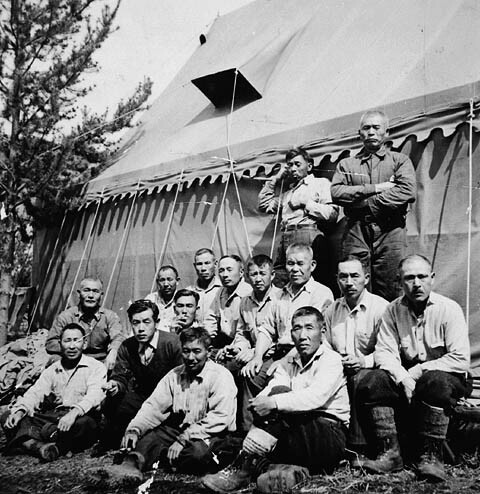 In retrospect, it is now widely acknowledged that the Canadian government’s treatment of Canadians of Japanese ancestry during the war went far beyond issues of national security and was in fact a case of prejudice and large-scale injustice. During World War I, those who had immigrated from the Austo-Hungarian Empire were also classified as “enemy aliens” and many were interned. Most of these internees were Ukrainians who had, ironically, fled to the Austro-Hungarian empire to escape oppression (see Blicq). German-Canadians were interned during both wars, although by World War II this community had responded to earlier harsh treatment by assimilating, many changing their names. Alexandra Bailey gives a history in German Internment During the First and Second World Wars. The internment of around 600 Italian Canadians and the harsh treatment of this community during World War II is documented in Beyond Barbed Wire: Essays on the Internment of Italian Canadians , edited by Licia Canton and others. There continues to be an increasing engagement with the Holocaust and World War II in Canadian literature, indicating a growing interest in interrogating assumptions about this history. Immigration Act. Ottawa: C.H. Parmelee, 1910. Early Canadiana Online. Web. 14 June 2012. War-time Elections Act. Ottawa: J. de L. Taché, 1917. Early Canadiana Online . Web. 14 June 2012. Bailey, Alexandra. German Internment during the First and Second World Wars. Centre for Constitutional Studies. n.d. Web. 30 July 2012. Berton, Pierre. Vimy. Toronto: McClelland & Stewart, 1986. Print. Canton, Licia, Domenic Cusmano, Michael Mirolla, Jim Zucchero, eds. Beyond Barbed Wire: Essays on the Internment of Italian Canadians Toronto: Guernica, 2012. Print. Coleman, Daniel. White Civility: The Literary Project of English Canada. Toronto: U of Toronto P, 2006. Print. Riel, Louis. Collected Writings of Louis Riel/ Les ecrits complets de Louis Riel. Vol. 3. Ed. Thomas Flanagan; gen ed. George F.G. Stanley. Edmonton: U of Alberta P, 1985. St. Laurent, Louis S. Government Notice, Dept. of Justice. The Canada Gazette . Ottawa: Edmond Cloutier, 26 Feb. 1942. 3. Print.